A beach wedding is the stuff dreams are made of, but don’t forget about the rest of your weekend before (or after) the festivities take place. This is especially important if you — and your guests — are traveling to your destination beach wedding. Thankfully, Anna Maria Island and the surrounding areas are chock full of activities to fill in your beach wedding weekend. Here are some terrific ideas for fun beach wedding weekend adventures on Anna Maria Island. Have fun on, or in, our beautiful water. The aquamarine waters surrounding our slice of paradise offer dozens of fun activities, and not all of them require you to get wet. Horseback riding by the Sunshine Skyway. Riding a horse is fun on its own, but you and your guests can have the experience of a lifetime when you ride a horse in the crystalline waters of Tampa Bay. How cool is that? This is a unique experience you’ll remember forever. Discover an underwater world while snorkeling. The Gulf of Mexico and Tampa Bay hold treasures and beauty just beneath the surface. Snorkeling is a classic way to while away time in Florida, and there are quite a few opportunities to spend the day with a trusted guide leading you and your guests through an underwater adventure. Fancy a fishing expedition? Charter a boat. Charter fishing. Do you fancy a fishing expedition, but lack a boat? Thankfully, there are scads of opportunities to charter a boat on Anna Maria Island, many that come along with an expert fishing guide. Bonus: Treat your guests to a truly unique experience by pulling your boat right up to your dinner table. Our Mar Vista restaurant has 14 convenient slips, the freshest seafood, and tables under ancient Buttonwood trees that make for an unforgettable evening. Pump up the action with watercraft rentals. Get ready for a day of fun! Anna Maria Island and the surrounding area offer dozens of watercraft rentals. Many even have staff that will guide your experience to ensure your safety. Win-win! There’s plenty of fun for land-lovers, too. If being out on the water isn’t for you or your guests, don’t worry! There’s still plenty of fun to be had on Anna Maria Island and throughout our neighboring areas of Sarasota and Bradenton. Bring a piece of Anna Maria Island home by shopping local. If you’ve got a shopping bug, Anna Maria Island and the surrounding areas have you covered. For example, the Anna Maria Historic Green Village offers unique stores and just a few miles away, you’ll find a huge flea market in Bradenton. Shop chic at St. Armand’s Circle. This off-island destination in Sarasota is the perfect destination for a day of chic boutique shopping during your beach wedding weekend. You’ll find more than 130 merchants nestled between Sarasota Bay and the Gulf, perfect for an afternoon of upscale shopping. Enjoy world-class art & culture. There are museums right here for your perusal, including the Anna Maria Island Historical Society Museum. This is a good way to catch a break from the Florida heat (it has A/C!) and learn about the area as well, and while donations are welcome, admission is free. If you’re venturing off the island and into Sarasota, be sure to plan a few hours at The Ringling. This cultural jewel sits right on the water and features priceless works of historic and contemporary art, lush and beautiful gardens, and even a circus museum to delight the kid in everyone! Make it a beach wedding weekend of fun. Yes, a beach wedding is amazing, and thankfully, there are oodles of opportunities for you to get out and explore the island and the surrounding areas. Whether you want to dive in and explore the waters or take in some chic shopping, Anna Maria Island has exactly what you’re looking for. Sign up to get beautiful beach wedding and event inspiration delivered directly to your inbox. 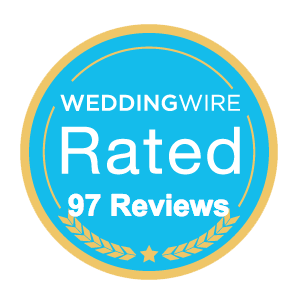 Award-winning Florida Beach Wedding venues located on Anna Maria Island.